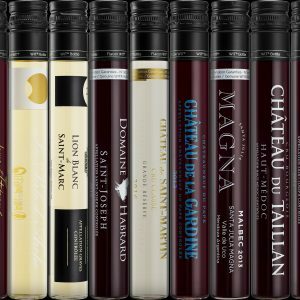 A premium selection of five Malbec wines from France and Argentina. If you haven’t tried Malbec wines before then this is the perfect introduction to this fabulous grape variety. For Malbec lovers these wines will need no introduction. 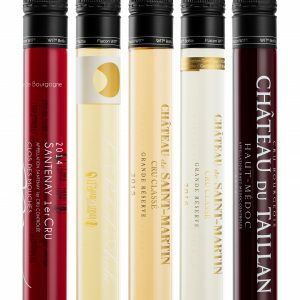 Each tube contains 100ml of wine: 3 from Cahors, South West France and 2 from Mendoza in Argentina. 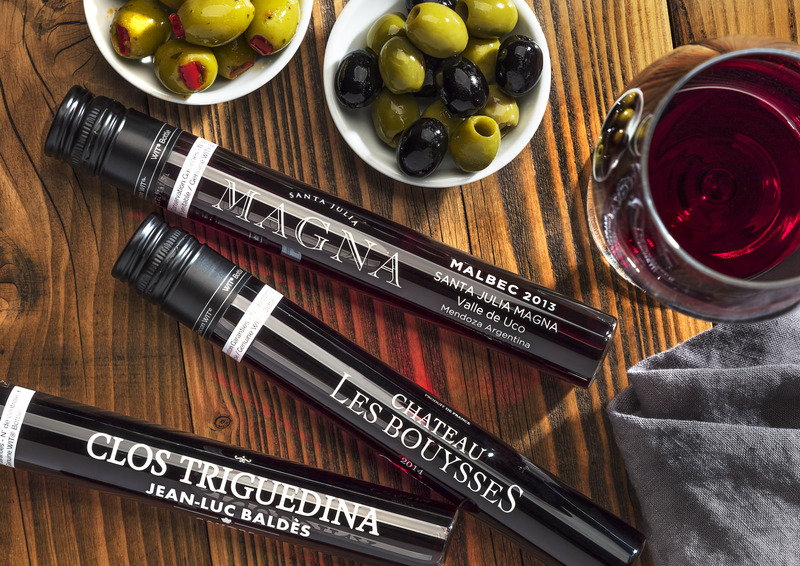 While Cahors is regarded as the birthplace of Malbec it has found itself equally suited to the high altitude of the Mendoza region in Argentina. Santa Julia Magna (Mendoza, Argentina) 15% ABV – A deep purple in colour, with bluish hues. Intense red and black fruit aromas of blackberries & blueberry jelly, with a hint of tobacco & chocolate. 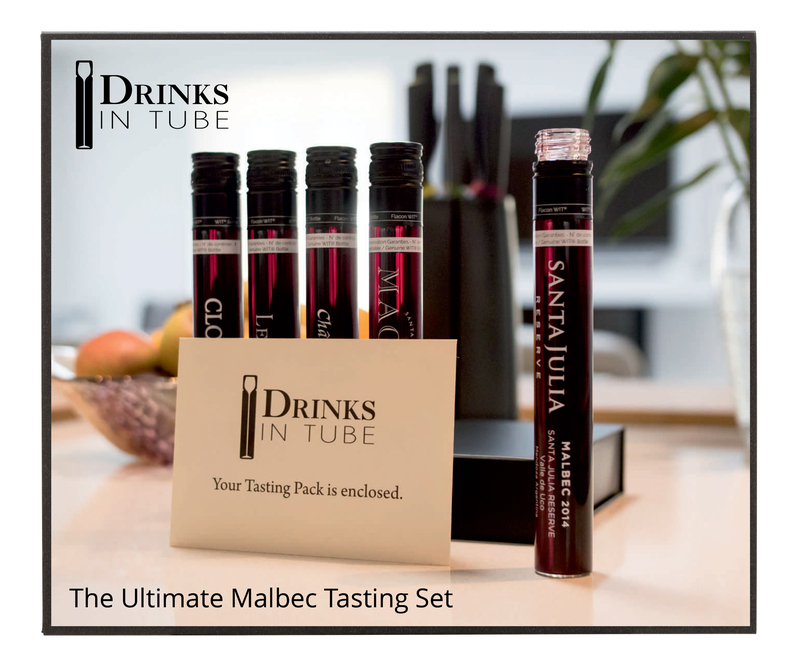 Santa Julia Reserve (Mendoza Argentina) 14% ABV – A great black fruit flavour with spicy aromas. Very fresh but also round, provided with elegant fruit & great natural acidity. Clos Triguedina (SW France, Cahors) 13.5% ABV – An intense fruity flavour with peppermint & liquorice notes. 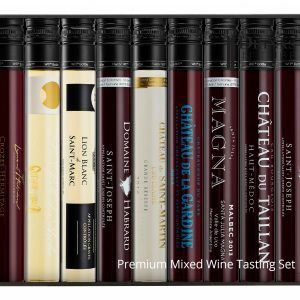 Château La Poujade (SW France, Cahors) 13% ABV – A deep ruby in colour with aromas of morello cherry, wild strawberry & exotic fruits, with notes of liquorice. 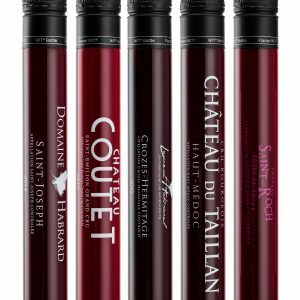 Château Les Bouysses (SW France, Cahors) 13% ABV – A rich and inky red with aromas of dark berries and sweet spice with a smooth finish. 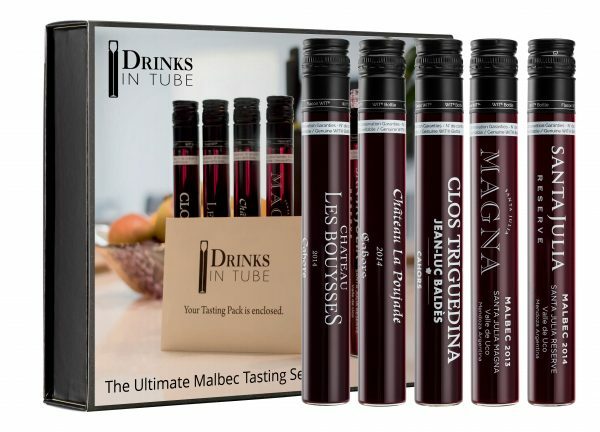 Discover the wonders of Malbec with these five wines beatifully presented in a luxury gift box with tasting notes to guide you through each wine. The perfect gift for Malbec wine lovers or as an introduction to this much-loved grape variety.